Our popular Dakine Mission backpack has earned a reputation as the ultimate accomplice pack and it holds true for this scaled-down mini version. This super-organized pack features a main compartment, an organizer pocket, plus dual mesh side pockets. Vertical board carry straps are ideal for mini boards, while the adjustable sternum strap helps shoulder the load. Reflective details on the front and back add an additional element of safety. Founded in Hawaii in 1979 and located at the base of Mt. 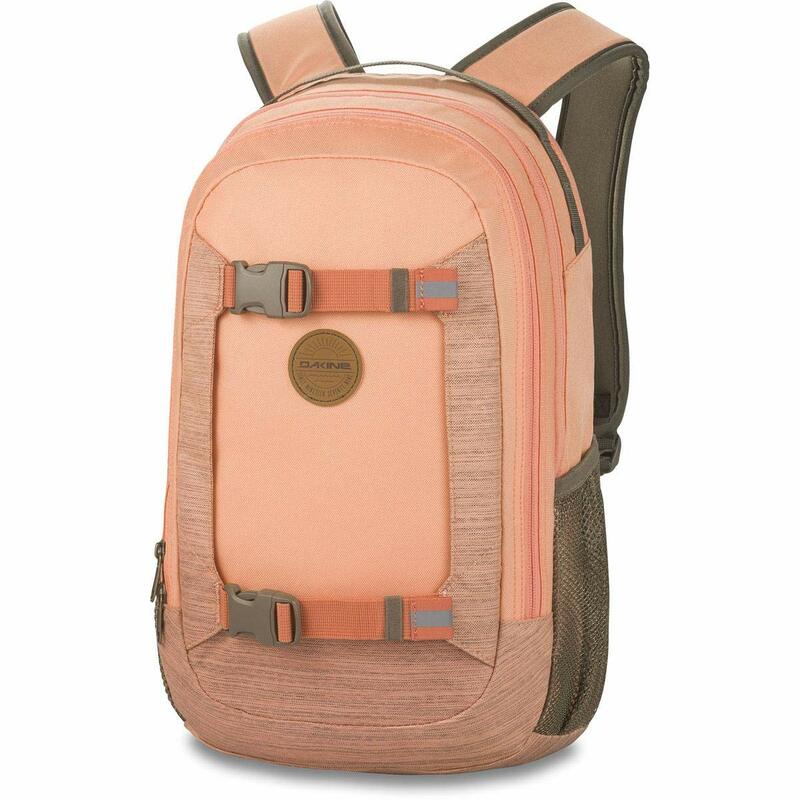 Hood in Hood River, Oregon, Dakine builds backpacks, travel bags, and accessories, outerwear and clothing for people who love to surf, snowboard, skateboard, mountain bike, ski, windsurf, kiteboard and travel. Progress Is In Our DNA We're challenging you to chase the unknown. To push against predictable and break away from comfort - to surf new breaks, ride steeper terrain, go where the wind howls and the trails push past the horizon. To go where you've never gone, do what you've never done and revel in the experience. We'll be right there with you. Dimensions: 18.75 x 13.5 x 1.5"